Red eared sliders are a handsome breed of turtle, with colorful markings on their shells, heads, limbs and tails. They are almost entirely aquatic and are fun to watch in the water. 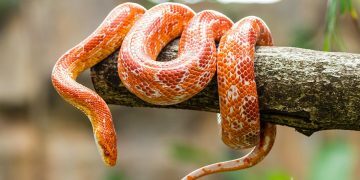 Unfortunately, they are also a bit skittish around people and are surprisingly fast, which means you may not get to spend a lot of time holding your pet. Red eared sliders originated in the southern United States but can now be found all over the U.S., as well as in the Netherlands, Canada, the United Kingdom and Japan, as pets. Size: The average size of a red eared slider turtles is between 8 and 10 inches for males and 10 and 12 inches for females. Markings: Red eared sliders get their name from the red stripe on each side of their heads. Their outer shells are typically dark green with lighter markings in a variety of patterns, and their heads, limbs and tails are marked with very thin yellow lines. Red eared sliders spend almost all of their time in water, leaving it only to bask in the sun (and to lay eggs when in the wild). They are a shy breed and are nervous around people to the point where they will dart into the water if they see you approaching. Feeding: Red eared sliders are omnivores, eating feeder fish, worms and shrimp as meat, and aquatic plants as well as leafy greens, carrots and green beans as vegetables. Baby red eared sliders typically eat more meat than plants. Adults should be fed small meals daily or larger meals every three days. Housing: A 75 gallon tank is a good size to house a slider turtle, and you should also have an outdoor pool to take advantage of sunny days. Wood, rocks or a turtle ramp should be used to build a basking spot. You’ll need a UVA / UVB light and should heat the tank to approximately 75 degrees Fahrenheit. Be sure to do a partial water change twice a week to keep the tank clean. 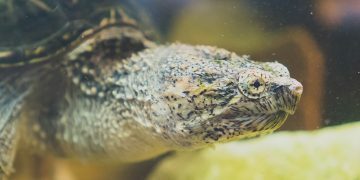 Health Concerns: Red eared sliders are prone to metabolic bone disease and vitamin A deficiency, as well as other health issues such as lethargy, swollen eyes and shell rot. 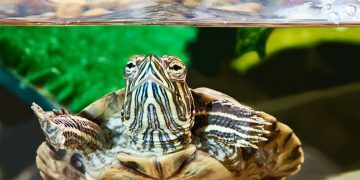 However, red eared slider care is no different than for other turtles — a clean habitat and attention to diet is the best way to keep your pet safe from these conditions. Life Expectancy: Red eared sliders typically live anywhere from 30 to 50 years. Like many breeds of turtles, such as snapping turtles or painted turtles, red eared turtles are collected from the wild for sale at many pet stores. This can lead to a dangerous depletion in the species, so before you buy a red eared slider, make sure it is one that was bred in captivity. The average cost of a red eared slider is as low as $25, but adult turtles may run as high as $50 or more. Do you think snakes make cool pets? They definitely do, but there are some things to consider before you dive into snake ownership. It's up for debate whether snapping turtles should be kept as pets. They can be quite difficult to keep, so be sure to read this guide before buying. © 2019 PlusPets™ All rights reserved.